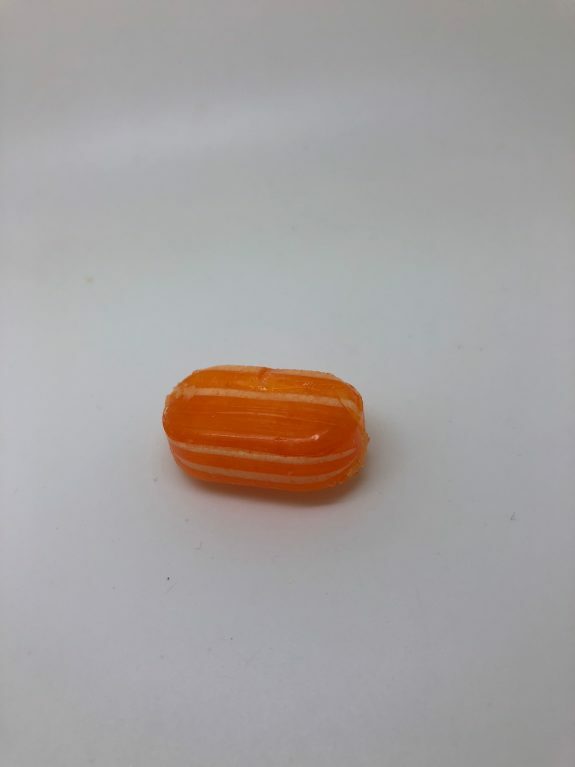 I’ve been interested in boiled sweets for some time now: old school UK hard candies. The kind you’d see in an old timey candy shop back in the day, or possibly in a Harry Potter movie more recently. Yes, Sherbet Lemons are in fact one of the most old school of the lot-but there’s tons of different types. Pineapple cubes, Cola cubes, Rhubarb & Custard, blackcurrant licorice-they’re all good. 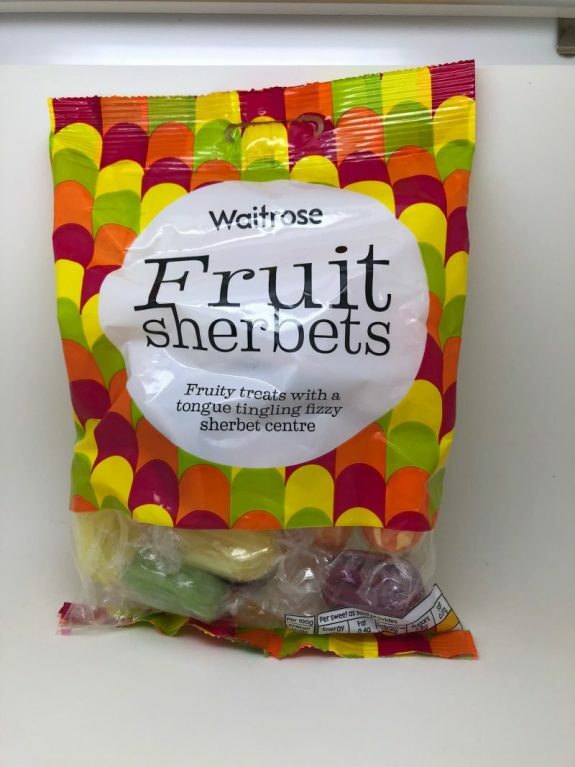 So let’s check these out, a supermarket brand of another popular sweet: sherbet fruits. Immediate intrigue. 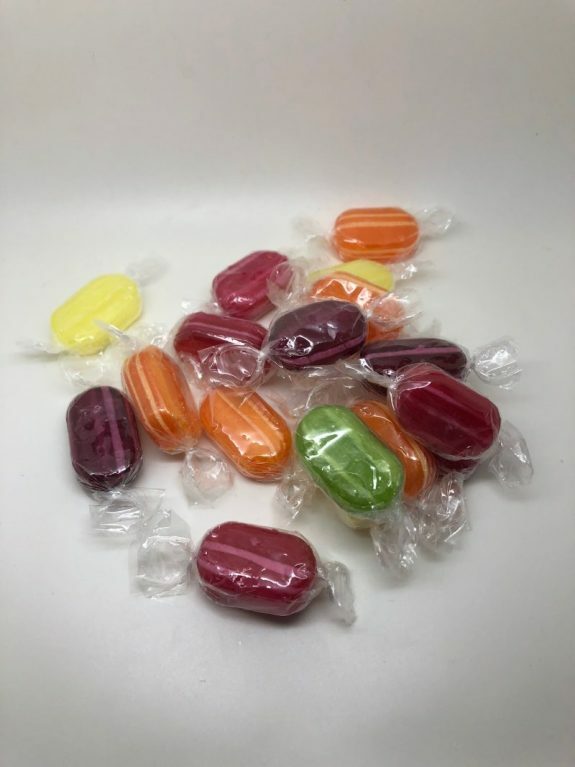 I just love fruity hard candies in general, but these hold a “tongue tingling fizzy sherbet center”. I was thinking they’d be like Zotz, which are my thing. But they’re not. Gorgeous little gems. I noticed pretty quickly that there was a white striping going on-which is the sherbet. All there was left to do was taste. And I have to say, I’m once again surprised. Really nice fruit flavors is where you start. But instead of waiting for an eventual fizzy center, these work differently-probably because the sherbet is slightly exposed. You a fruity taste tinged with just a bit of efferevesance. And it stays that way the entire time. And the end, it doesn’t collapse into a chewy fizz thing-it stays hard. It’s like a time release pill, but the fizz is the medicine. And I LIKE that. Check out our link below-extremely reasonably priced for an import. The Waitrose sour fruit pastilles are the best, and available from that same shop. Well then….I’m off to buy, thanks for the rec!